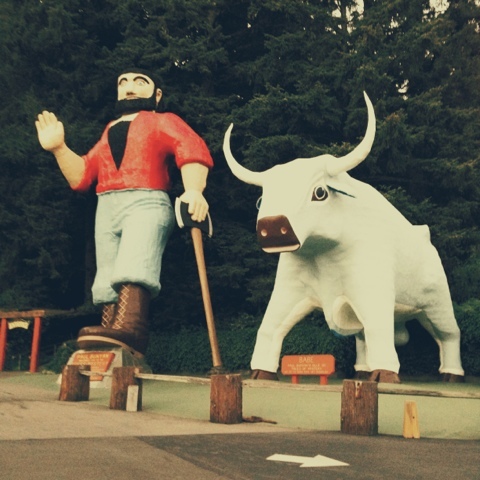 It's almost impossible to drive past these giant statues without stopping to take a pic. Should have had someone stand next to them for scale but it was getting dark and we had many more miles to drive. The statues are at a forest theme park outside Redwood National Park in NorCal. I always thought Paul Bunyan was cutting down the forests of Minnesota or Michigan--not the ancient old growth redwoods. Hmm. Camera & settings: iPhone 5 and VSCOcam app.